Dress in style like the Dark Knight with this cool Batman All View Zip Hoodie! 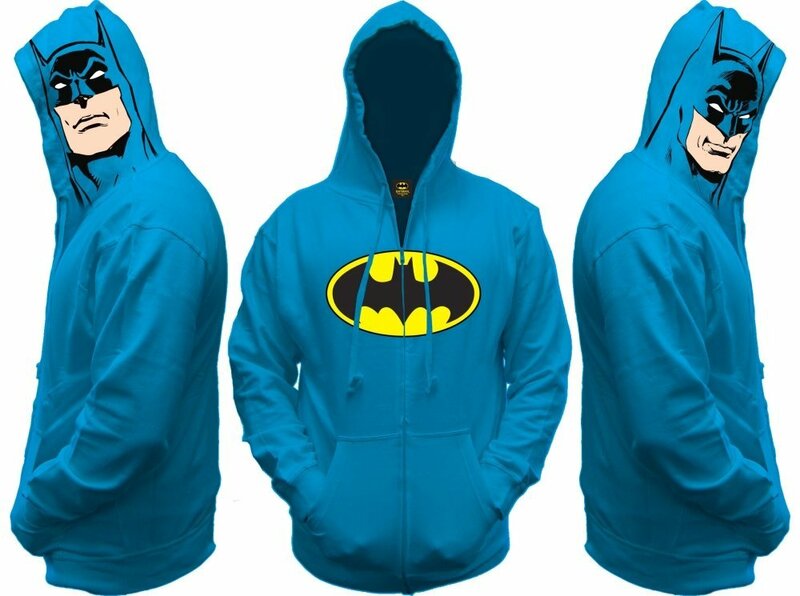 Turquoise blue hoodie features printed Batman symbol on the front and Batman's face on each side of the hood. Roomy, comfortable fit; zip front closure; separate front pouch pockets; drawstring adjustable hood; rib knit trim at cuffs and waist. Adult men's sizes. 80% cotton, 20% polyester. Officially licensed. Batman needs you on his side, get it now while supplies last. Great gift for anyone that has love for Batman!